Max. pulling speed: 18.5 m/min. Application: It is used for tower erection and sagging operation in line construction. 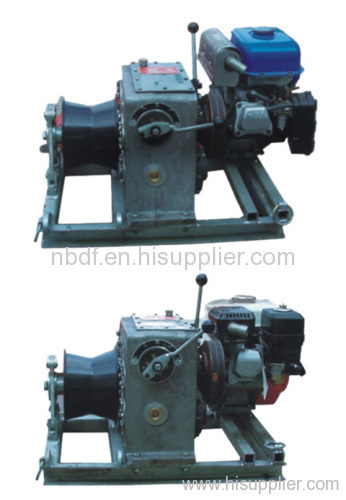 Features: Light weight, easy to operate and maintain. There is mechanical brake system composed in the Gear Box. The brake can hold the steel wire rope when there is emergency. Note: Honda Petrol Engine is equiped on the machine. 3. 25 years of production experience and more than 1000 customers in the country and abroad market. 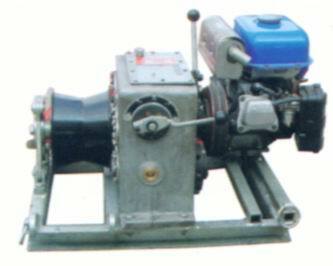 The set of winches have been sold to more than 20 countries.